Book Winsome Brinkley for Media Interviews, Conferences and Keynote Influence Speaker at your next event. Want to know more about becoming a Certified Competent Communicator? 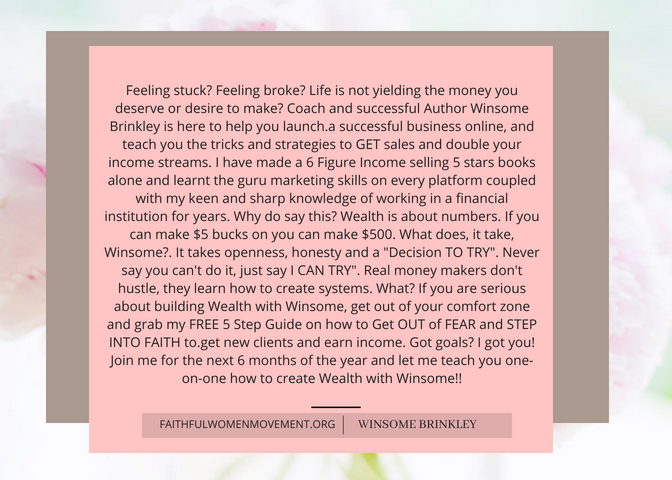 Winsome Brinkley is a Internationally Trained Public Speaker and Leader. She is the Jamaican National Triple Crown Winner through Toastmasters International (Advanced Communicator Silver and Advance Leadership Bronze honorary recipient of The Courtney Orr Trophy for Public speaking and Leadership 2016-2017.